In 1790, at the age of eighteen, McArthur joined the Pennsylvania volunteers. He participated in General Josiah Harmar's expedition against Native Americans in the Northwest Territory. In this and other military adventures, McArthur gained a reputation for courageous leadership. By 1792, he was living in Maysville, Kentucky, and working in a local salt works. The following year he obtained a position with Nathaniel Massie on a surveying expedition into the Northwest Territory. He worked once again with Massie in 1796 to lay out a new town called Chillicothe. At this point, McArthur was able to obtain a tract of land near Chillicothe and moved to the area with his new bride, Nancy McDonald. After the War of 1812 ended, McArthur returned to political life, and was elected to the state legislature once again in 1815. 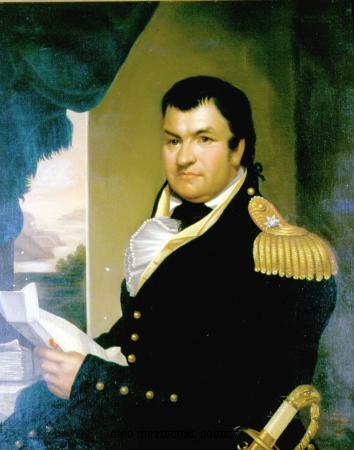 He was involved in negotiating treaties with Native Americans in Ohio, including the Treaty of Maumee Rapids in 1817 and the Treaty of St. Mary's in 1818. In 1819, McArthur failed to win reelection to the Ohio House of Representatives, in part because he opposed taxation of the National Bank of the United States. He served as a director of the National Bank's branch at Chillicothe.